Named one of the world´s 30 most influential management thinkers to watch in 2017 by Thinkers 50, Margarita Mayo is a leading expert on developing authentic leadership, collaboration, innovation and change. Margarita´s keynote speaking audiences include ArcelorMittal, Pfizer, Morgan Stanley, Gonvarri, Spain´s Nuclear Security Council, Human Resources Associations, Cambridge University and the Fulbright Institute. For inquires about her speaking engagement, please contact the Thinking Heads Speakers Bureau. Margarita speaks on topics related to authenticity, leadership, change, innovation, team-building, talent and personal development, and life-work balance. Authenticity is in high demand nowadays. Yet, it is surprising how little we know on this timely topic. Her talks are the distillation of her practical insights into the phenomena of authentic leadership based on over 20 years of research. Delivered in a dynamically way to motivate and energize your audience, you will be surprised by original statistics and counterintuitive answers, compelling stories, colourful anecdotes, and current examples. People trust executives who they see as authentic and in touch with his or her inner values. 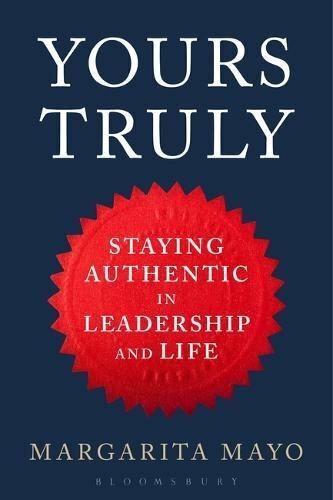 But how can leaders become and remain authentic? These are my 3Hs of Authentic Leadership. In this presentation, I explain how to build authentic power by finding your passion, leading by example and pursing virtue and solidarity. Change is the only constant in life: How do you strive for success, excellence and constant renewal in your team and organization, while remaining true to yourself? In this presentation, I share a practical framework of how effective leaders pave the way to authentic transformations to mobilize, move and maintain change. They build credibility, empower others and have long lasting impact. Pioneers explore the next frontier of life and work. Find out how Yours Truly Leadership can help grow your business. Drawing on a host of inspirational examples from executives of multinational corporations to start-up founders, I illustrate the best entrepreneurial leadership and management practices such as a growth mind-set and resilience. Most people strive for happiness in work and life. While some thrive after adversity, others fall behind. What are the strengths and virtues that enable individuals to grow and be true to their best self?